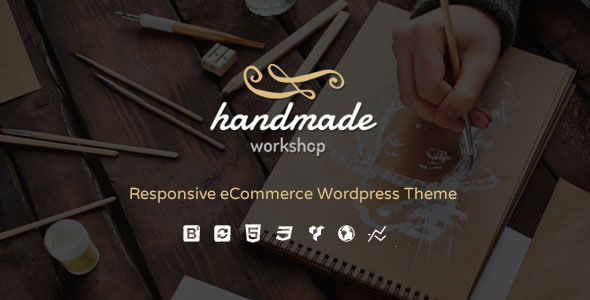 Handmade, the ultimate theme for WoooCommerce, has been created as a great solution for online stores. This WordPress theme shows a sophisticated look, well-structured layout and most powerful features of a ecommerce store. With one-click demo importer, number of custom shortcodes and product filter widgets, Visual Composer page builder integrated, unlimited colors, many options…etc .